For over a decade, OD has been a focus for policymakers, and is considered to be a tremendous resource for Open Government, although is as yet largely untapped (see: Mapping open data governance models: Who makes decisions about government data and how?) ... Only by fostering and applying the evidence about Open Data impact we can help it live up to its potential. Generally, Open Data (OD) falls under the Open Movement cluster. In particular, OD can be seen as a staple of the Open Science (see: FOSTER Open Science Taxonomy), that aims at making scientific research, data and dissemination accessible to all levels. Besides advocating for OD and Open Access, Open Science also embraces practices as Open Research, and encourages researchers to practice Open Notebook Science, - to make it easier to publish and communicate scientific knowledge. In the context of OD benefits, the openness of 'Good OD' is a key component in the impacts OD creates. providing accurate, accessible, timely, updated and valuable information. 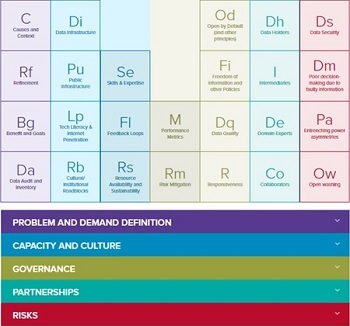 Open Data Maturity in Europe 2017 (EDP report, 2017) with a series of seven recommendations to guide decision makers and Open Data Portal owners towards developing a sustainable vision for their Open Data transformation. Take a look, for example, at a number of endeavors of the GODAN global partnership to create an international community of practice on support of OD in agriculture & nutrition. Indeed, there are many areas (government, research, developing economies, business, social etc.) where different types of benefits of OD can be expected, and where examples - of how 'Good OD' has been used to create added value (e.g., by publishing and connecting Wheat Data with other data, in different forms) - already exist. Anyhow, only by fostering and applying the evidence about OD impact we can help it live up to its real potential. Data Value is unlocked by having data in the right place on the Data Spectrum, with access and ethics being considered. Additionally, it is worth noting that in the modern era of cloud deployment and Big Data (e.g. Big Data Project of NOAA), - "More data is always more useful if you know what to do with it" (Open Data Institute). 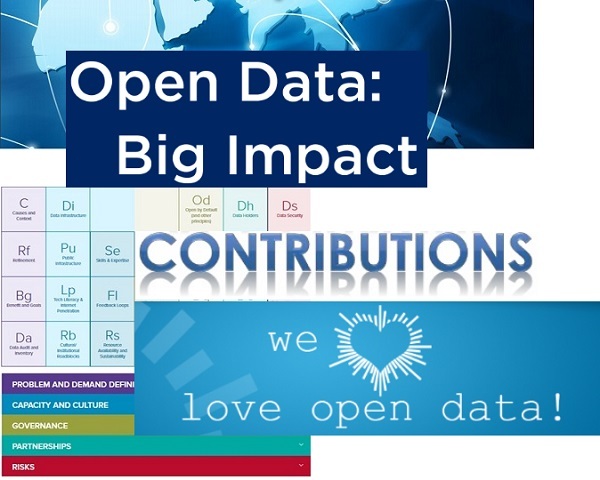 Based on insights from different international case studies, AIMS has published a ToolKit for Open Data, - to help make your OD initiative a larger success. This ToolKit provides links to a number of recommendations - around OD data literacy and practices, community engagement, and free training initiatives, - to unlock greater knowledge exchange and social impact through effective OD use and re-use. Even if it is always a first step in understanding how OD can be better harnessed to achieve ... Your goals.